DataComm Electronics 1-Port jack in white color, has polycarbonate construction for high durability. 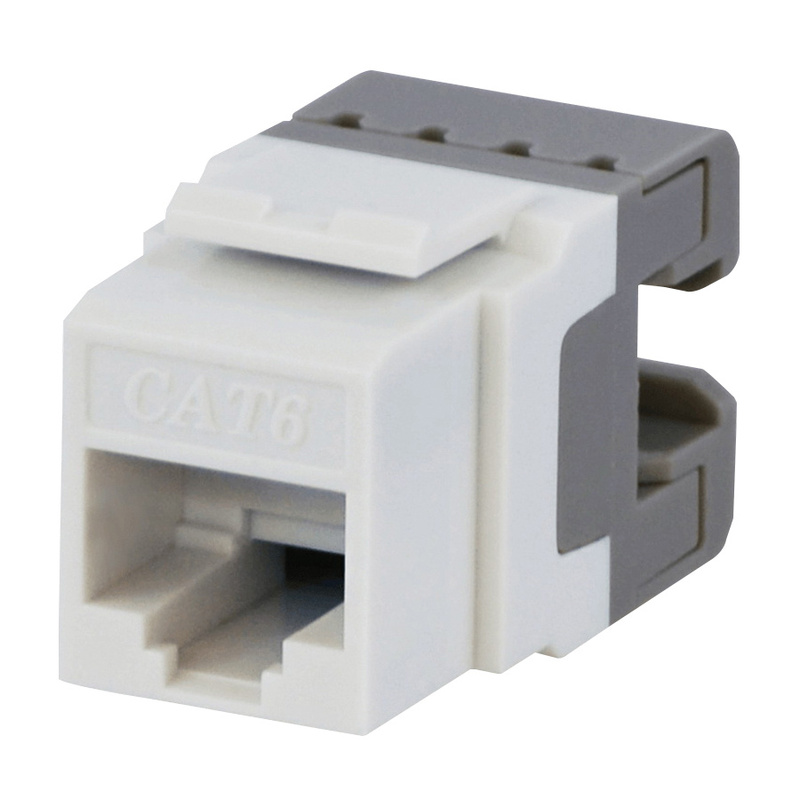 It accommodates RJ-45 Category 6 cable for transmission. This 8-position 8-contact has 110 IDC contacts for ease of termination. It includes gold-plated phosphor bronze contacts for optimum conductivity. This jack has a frequency rating of 250-Mega-Hz. It is suitable for residential and light commercial applications. The jack meets UL, FCC part 68 requirements and TIA/EIA-568 standards.